Firstly you grip Powerball like you would a tennis ball or a baseball. 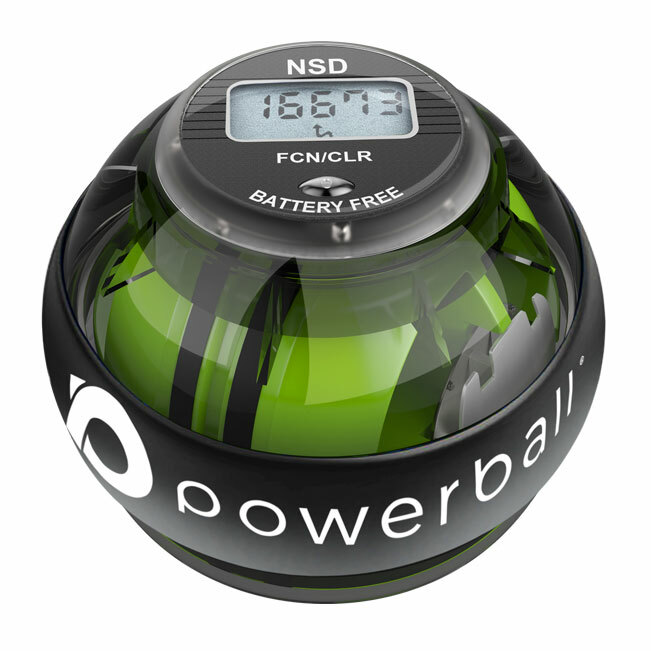 You then simply start Powerball through its autostart mechanism or with a cord (for cord start Powerball models). Powerball has a rotor (see video below) which spins inside Powerball, this creates resistance/ torque against the user. This resistance you feel as you turn your wrist is known as inertial resistance created from the gyroscopic precession/ torque from the Powerball rotor. The faster the rotor spins the more resistance you will feel. The resistance exercise with Powerball is purely isometric and extremely soothing at low RPMs. This has numerous different benefits ideally suited for the rehabilitation of Carpal Tunnel Syndrome / CTS. 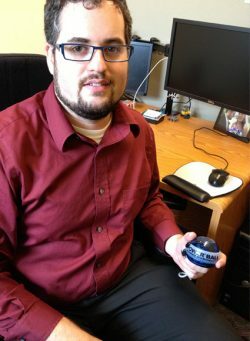 Gently exercising with Powerball helps release the pressure on the 9 Carpal Tunnel tendons running through your wrist with unique soothing gyroscopic isometric resistance. Spinning Powerball dramatically increases the amount of blood flow and healing nutrients into the inflamed carpal tendons. The increased oxygen and nutrient-rich blood to the muscles and connecting wrist tendons speeds up the healing process and reduces inflammation. 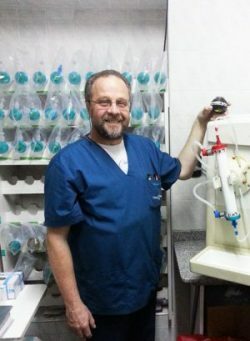 Powerball helps promote the production of synovial fluid in the wrist joint, synovial fluid helps lubricate the wrist joint and helps with flexibility and mobility. 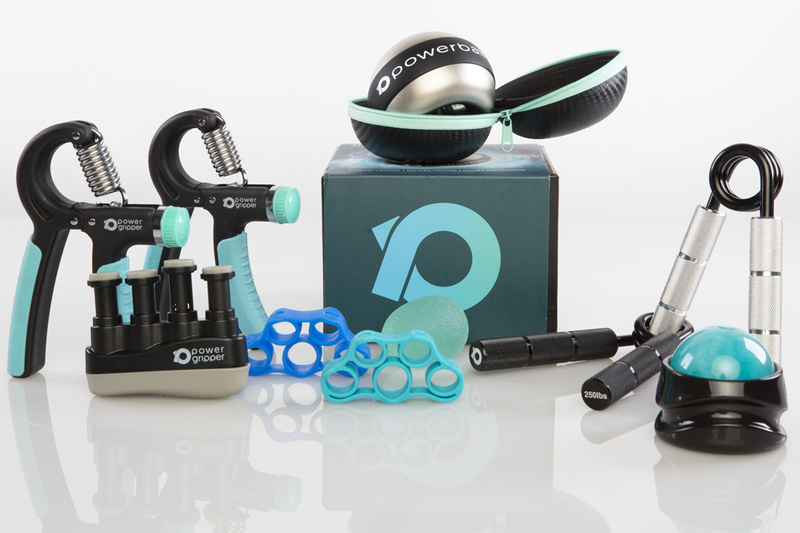 Powerball is highly efficient at exercising the wrist flexor & Extensor muscles which allows you to build strength and stop muscle wastage during your recovery. Professional climbers and all manner of sports people use Powerball to build incredible wrist and grip strength. 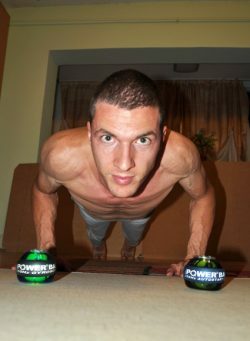 100% non-impact rehabilitation – with Powerball exercise is non-impact and Isometric. This means that you will not put any strain on muscles and tendons as you use Powerball. Powerball has created physio designed programmes that can be downloaded below. For best results follow both exercise programmes for the rehabilitation of Carpal Tunnel Syndrome as both are highly beneficial and target different muscle groups. Spinning Powerball very gently is all that is needed in the early stages of recovery building speed and resistance as your symptoms improve. Carpal Tunnell Syndrome – The Thumb, Finger Flexors & Extensors rehabilitation video (sound needed for instructions). Carpal Tunnel Syndrome: Wrist Flexors and Extensors rehabilitation video (sound needed for instructions). Isometric resistance exercise with Powerball means that as you are exercising there is no change in joint angle or muscle length. Isometric exercise is most effective because it is 100% non-impact which means you don’t put any pressure on damaged muscles and tendons. 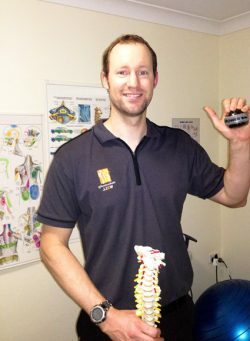 Powerballs soothing exercise reduces inflammation releasing the pressure on the carpal tendons causing the pain. Before you think about surgery make sure you try the most effective non-surgical treatment for Carpal Tunnel Syndrome. Rehab after surgery – the same isometric exercise that is so effective in the non-surgical treatment of carpal tunnel will speed up your recovery times post surgery. 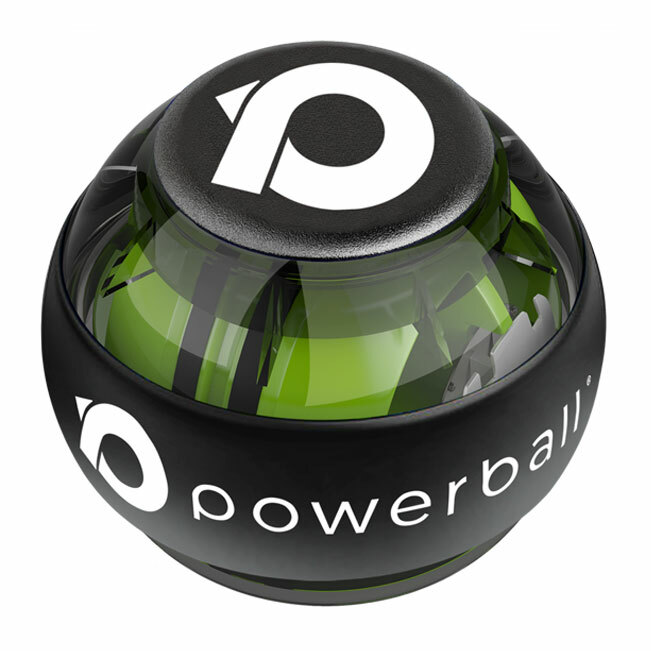 Powerball stops muscle wastage and strengthens your wrists. Continued use of Powerball will ensure you do not have a return of repetitive strain injuries RSI’s. 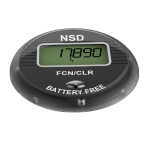 Powerballs battery-free LCD meter which comes with many of our Powerball models uses magnetic induction created by the spinning Powerball rotor to power itself. This will allow you to track your progress and motivate you during your recovery period with 6 different exercise modes. Carpal Tunnel Syndrome (CTS) is a localised Repetitive Strain Injury (RSI) caused by compression of the median nerve (usually by inflamed tendons) as it passes through the Carpal Tunnel in the wrist. This usually results in pain and loss of function in the hand or wrist, plus numbness, burning or general weakness of the palm and fingers, especially at night. Spinning Powerball for just 2-3 minutes, several times each day provides fast, effective pain relief and a rapid decrease of inflammation in the tendons which are compressing down around the nerve.